Check out what people are saying about Golden State Chem-Dry! The technician did a great job cleaning our carpets and a chair. After he left I noticed an issue and emailed the company and a short time later received a call from the owner. He came over right away and took care of the problem. Excellent customer service. Will definitely call them for our next carpet cleaning. Working with Jeromy from Chem Dry was outstanding. I’ve used other carpet cleaning companies in the past and I have never had one that did as good of a cleaning job. They are a pleasure to work with. They were prompt, polite, helpful and explained everything. I’ll be certainly calling them again when I need more cleaning in the future. Jerod did an amazing job. Professional, on time, good customer service. reasonable prices. I will contact him again for future carpet cleaning. Thank you. We needed our stairs and a couple of spots cleaned as we were moving. Jerod came out (even though it was a little later in the evening) and took care of them for me. We had to be out by the next morning so he was more than happy to come help. I wasn’t sure the spots would come out, but he worked his magic and they were gone. He was very professional and easy going. We will absolutely make Golden State Chem-Dry and Jerod our go-to for carpet cleaning. They were very professional and did a fantastic job! We moved into a Home where the previous owners had dogs so you could only imagine how dirty the floors were. After being cleaned, we could actually see the white grout on our tile floors and the stains are gone on our carpet. THANK YOU! Had a superb experience with ChemDry. Our home was treated with PURT (Pet Urine Removal Treatment) along with Sanitizer, Deodorizer, and specialty stain removal. We have three pets, one of which loves to use the carpet as his toilet. We were amazed at the difference after the job was done. Tyler is an exceptional employee of ChemDry and we will definitely recommend having him come for any future jobs we need done. Thanks for your great service. When a leading carpet company flaked on their appointment and left us hanging, I called Jerod and explained our situation. Having a party on the weekend and we had all of the furniture already set for the cleaning. This was Thursday at 2 pm when I made the call. Amazingly he said he could do it and was at our house in 40 minutes! He also did a great job and was extremely friendly and professional. His service rates were very reasonable and we are very pleased with the outcome of the cleaning. Would highly recommend! Found this company on Yelp. Called them Sunday morning and booked for Friday. I was at work when they came but my husband had the pleasure of dealing with the workers. He was very happy with their service and work. We asked for carpet and upholstery to be cleaned and our accent carpets. 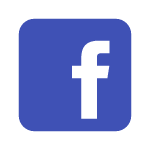 I definitely will use again and recommend to family and friends. Superb carpet cleaning. Topnotch!!! Tyler did a pretty good job! He is very knowledgable and very professional…Always smiling, he explained everything he was about to do. This company deserves 10 stars :). I will definitely recommend to all my friends who also need carpet cleaning at their homes. Thanks Golden State Chem-Dry and thanks Tyler for doing a pretty good job!!! Tyler came out to our home and was nice as could be. I couldn’t believe how clean our carpets looked when he was finished. After all, he had to clean up the great cat and dog urination wars that went on for years leaving stains that those store cleaning products couldn’t remove. After a really bad experience with my last Chem Dry company, I was very nervous and reluctant to try again. If it wasn’t for the special technique they use that leaves my carpet not only clean but fluffy, I would’ve gone back to traditional carpet cleaning. My carpets turned out better than ever! Every stain lifted and no more pet odor. I am just super excited! They were so courteous and friendly on the phone and the owner, Jared, came over at his scheduled time and completed an amazing service. I even received some education on carpet wear! The pricing was so fair that I didn’t even ask for my 10% discount. In fact, I gave them more. It’s so important for people to realize that yes, Chem Dry is typically more expensive than traditional carpet cleaning companies… But if you get the right Chem Dry… It’s definitely worth it! This is definitely the Chem Dry you want to use! 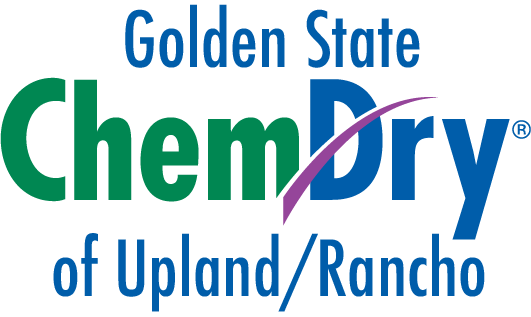 I highly recommend Golden State Chem Dry and Upland /Rancho Cucamonga!!! I was very impressed with my entire experience. I asked for a quote and heard back quickly and was able to schedule on a day/time that worked well for me. Jarod came out and explained everything well and gave his recommendations. I did not feel that he was trying to upsell anything and just offered what needed to be done. I was amazed at the results for both the carpet and tile. We have had others come out in the past and no one has been able to clean the carpet and tile as well as what Jarod was able to do. I have definitely found my go to carpet and tile company and highly recommend using them. My wife and I had only great things to say about this company and the quality and service we received. I am SO happy I called this carpet cleaning company after I almost got ripped off by another company (Upland Carpet and Air Duct Cleaning). Jerod was very professional. He went over the problem areas a few times to make sure it all came out. He was friendly, helpful, and even gave me business advice for my line of work!! I appreciate him squeezing me in at the last minute and charging me the same price I was quoted over the phone. Thank you so much, Jerod!!! I recently bought a home and wanted the carpet and floor cleaned. Contacted 4 different carpet cleaners but Jerod replied first AND offered the best deal. He scheduled when I needed the carpet and floor cleaned. He was very nice (not creepy at all- women understand this comment). Carpet completely dried within a few hours! Will def hire this company again! Jared came by and worked instantly on my carpet! Great experience and very polite and respectful dude. Thank you so much for the cleaning the carpet made a huge difference no stains anywhere! Strongly recommend! This is the 2nd time using Golden State ChemDry. Both times my experience we great. Jerod is professional, knowledgeable, and fast. I’ll definitely be a return customer. Jerod did a wonderful job on the carpet. Scheduling an appointment was simple. The team showed up on time, assessed the work area, treated the four rooms, cleaned up, and were on their way. In addition to the great service, Jerod is a personable business owner who explains the service and types of treatment with no pressure. He also takes the time to answer questions, and he does not rush his work in order to cram in as many appointments as possible. The majority of our conversation was about other topics besides the carpet cleaning service which made it feel like a family friend was taking care of our carpet. The carpet is clean and guaranteed. We now have a go-to business for carpet cleaning. I recently had my carpets cleaned I fretted over this for quite some time after being ripped off a few months ago by a competing company. I can see this that Chem-Dry did a wonderful job Jared thank you very much. Jared the owner of the company cleaned my carpet. My carpets to medium grey so sometimes it’s a little hard to see the dirt. Initially, it didn’t seem to be all that bad. You can now see a difference. Jared explained the whole cleaning process. I will definitely use this company again in six months. Wow! I was super impressed with Golden State Chem-Dry. Jerod (the owner) is extremely upfront and honest. He offered some insight on what would be the best cleaning option for the carpet in my apartment. I was trying to remove a lot of cat hair from the carpet and he gave me some tips that I might try before I even used their service! When he came to clean the carpet he was fast, efficient, and sociable. You can tell he cares about the quality of his work and wants the best for his customers. If you need a job done I would strongly suggest giving them a call!! You will get your money’s worth for sure! The wife wanted to get our carpets cleaned again… and honestly I wasn’t on board after the last few companies we’ve used left our carpet wet and smelling weird. She said she found Chem Dry and wanted to try them. Wow! Couldn’t believe how great everything looked and smelled, not to mention it left our carpet dry. Very pleased with the service of the guys that came out. Thanks ChemDry we will be recommending you to friends and family and call you back when the carpets need cleaning! Just had our carpet cleaned today and we’re so happy we called this company!!! We initially contacted them through yelp to request a quote and availability. We quickly got a response from the owner Jerod, and it was easy to set up an appt. We’re so happy with the results, the carpet looks great, we will definitely be using them again. We have used them twice in the past two years. They are fantastic. Showed up on time and did a great job of taking care of our poor old dog’s stains. Ugh! My wife wanted to use a not-so-wet carpet cleaning service so I called various companies but liked the way the receptionist handled the conversation – very professional and courteous. I had to cancel the first appt an hour beforehand (work emergency) and she was still kind and understanding. After rescheduling, Jerod arrived midway through the 1-hour time window and we did a walk through. He confirmed the original estimate and proceeded to work. He explained all his steps and the rationale behind them. He also discussed in detail some specific issues with the carpet due to its wear versus cleanliness. He finished well within the timeframe (~2 hours) and the results are fantastic – especially on the rug where the family hangs out to watch TV. I’ll add pics. I’m sure there are other similar organizations but THIS team will definitely get our future business. I walked back in my house and my carpet looks AMAZING!!!!!!!! Very friendly, and got the job done in excellent time. I would definitely recommend Chem-Dry Golden State! Amazing job! I’m beyond impressed. They were on time and so efficient. They did and excellent job on the pet stains and I love that their cleaning solution is safe for our animals. I highly recommend Jerod and Golden State Chem Dry. Nothing but good things to say about this company. From the customer service to the quality of work. My carpets look brand new, so good I don’t want to walk on them. They don’t try to make you add anything to your package, basically what you are quoted over the phone is what you should expect to pay. I’m about to be a mommy so knowing that my baby girl can crawl around clean carpets gives me peace of mind. Totally recommend them. Jerod was great and totally took care of our home. Jerod did a great job cleaning our carpets and area rugs! We will definitely be calling him to clean our carpets in the future! I was very satisfied with the level of professionalism, customer service, and pricing. Jared was very helpful and took the time to explain the process they use to make your carpet look brand new. The secretary was very helpful and understanding since I had to reschedule my appointment. I received a call 20 minutes before they arrived at my house. My recommendation: no need to look elsewhere Jared will get the job done. We just moved into a new home and I had an 8×10 100% wool area rug that I wanted cleaned before bringing into the new house. I contacted 4 different carpet cleaners and none of them provided service for area rugs or would come out to our home. I reached out to Jerod with Golden State Chem-Dry via Yelp and he was very quick to respond with what I felt was a very fair quote. We scheduled a date and time for him to come out to our home. He arrived within our stated window and both he and his associate, Daryn were very friendly and informative. Jerod walked us through the process for cleaning a 100% wool rug and what to expect following the cleaning. I was very pleased with the results and would highly recommend Golden State Chem-Dry to anyone desiring to have their carpets or area rug cleaned. I know it probably wasn’t a big money making job for them but they certainly earned our future business when it comes time to have our carpets cleaned. Thanks again, Jerod and Daryn! Really happy with Chem Dry Upland/Rancho. Daryn arrived right on time @ 9:30 (9:30-11:00 was the time frame). Took about an hour… reasonably priced… carpets look great. Would highly recommend this company. Pleasantly happy with the service received today by the carpet cleaning team. They arrived on time, fine-tuned the plan to my needs and did so in a reasonable timeframe. My carpet looks like new again. I really appreciated their professionalism. Would definitely recommend this company. Great customer service in person and over the phone. I was so glad to get a quote over the phone not like other places who make you have an apt before hand. He came and inspected the home and proceeded to give me the exact same price as quoted no upgrades or extra charges (no surprises) very happy. He explained the chemicals used were safe for my pets and myself, since I have asthma. Pet stains were removed. Also he offered to come and give it a second cleaning if there was still pee stains or smells. I had my carpet and tile floors cleaned by Jerod and Daren of Golden State Chem-Dry and wow, what a difference! I would definitely recommend them to anyone needing floor cleaning. When I called to make the appointment I was impressed with the service and knowledge that the receptionist had. She was extremely helpful and friendly as well. On the day of my appointment, I was again impressed. They arrived on time and helped me decide what services were needed. I was pleased with the work that was decided on and the amount that was given. They were quick to get right to work. They worked quickly and efficiently on all rooms that were to be cleaned. I noticed right away a big difference in the tile floors and grout. It was like night and day! It would normally take me hours to clean the tile as well as their machine did in minutes. I was thrilled! The carpet looked great and there were even spots I had given up on that they were able to get out. My carpets looked like new! They did a great job overall. I am so glad that I called GSCD. I received great service and my floors are better than I had expected. They definitely exceeded my expectations. I will be calling them again for all of my future floor cleanings! This was our first time using Chem Dry (Golden State Upland/RC). It will definitely not be our last time. Jerod did a fantastic job and is the type of person you love to have in your home…courteous, professional, efficient. His insight into ways to keep the carpet clean and future purchases were helpful, but not pushy or arrogant. Most importantly, the carpets look awesome! I wish I would not have wasted time and money over the years, renting equipment and cleaning them myself. This company seems to really care about their customers and making people happy. I would recommend them for any carpet or tile needs. Was looking for a carpet cleaning service for a while and wanted one with a fast dry time. So I searched and found Chem Dry. Had a good experience from the get-go, the receptionist was very helpful and friendly. So, my appointment for cleaning arrived, and Jerod arrived right at 11 am (11-1 was my timeframe). We did a walkthrough, what was quoted to me over the phone was confirmed. He also told me upfront that he may not be able to get the doggy urine stains out since it looked set in, but he would try really hard. An hour later, he came down the steps, and said he was done! AND the urine stains were gone! They are awesome, will definitely use them again. Probably sooner since I need some grout cleaning! Thanks, ChemDry! Great carpet cleaning service! Quoted me over the phone, and was dead on with it. Came in and took a look. Was honest about what carpet needed and didn’t need. No up sell pressure. Cleaning for stairs and 2 1/2 rooms took about an hour. Guys were very informative about how to keep my carpet clean after the wash. Totally recommend these guys! You won’t be disappointed! I had my carpets cleaned by this company today. I chose them based on their Yelp reviews. They did not disappoint! Jarod was very professional and did an excellent job. He was friendly and very patient with my kids running around. Our carpet looks like brand-new! I very highly recommend this company. Their prices are reasonable and they did not change. I paid with they quoted me over the phone :-). I am very happy!! Jerod & his assistant were amazing! Polite, hardworking, flexible. Most importantly honest! No hidden fees or increase in prices! I was able to schedule an appointment the next day. I was impressed by how cleaned our carpets looked, considering we haven’t had a deep clean in a few years! They have also done my parents carpet and they are pleased as well! Definitely will recommend them to others! Came to my friends Mike house for his daughter first birthday party. We are all having a great time. One of the kids running through the living room knocked over a large bowl of fruit punch. Mike called this carpet cleaner who came out on an emergency call and cleaned it up within minutes. Great fast service and a successful party. Good job! Excellent! Very professional and friendly. I recommend Jerod highly. Very knowledgeable and helpful. Carpets look great! Thanks! I’ve used Chem-Dry for years in my home and my family has too so when it came time to find someone local to clean the business that I work for I know where to call. Jarod came out on time and did a spectacular job, he was polite and answered all of my questions. I knew I could count on them and the work proved me right. I am planning on them coming out again soon for some additional areas and will continue to do so time after time. Jerod did a really thorough job! There was a lot of dog hair and clogged up one of his machines. Frankie came with a second machine and they did a second pass over all the carpets. Jerod’s a really nice guy too and proud of the honest work he does. I’ll definitely be calling again the next time we need our carpets cleaned. Super professional. The Carpet cleaning service I received was better than anyone I have ever experienced. I had a really bad pet urine problem. They were able to get all of the pee spots out and my home smelled so good I couldn’t believe it. My carpet looked brand new. The job wasn’t rushed and they definitely took their time. I’ll be calling again in the future to use them over and over and over again. Thanks so much. I had this company come to my rental property. My tenant had just trashed the place I was wondering if I should replace or clean the carpet. Jerod came out and gave me his honest opinion and even cleaned a room for me to show me how the house would look. He ended up saving the day and saving my carpet and pocket. Great experience, highly recommend! Golden State Chem-Dry cleaned my house after the holidays and wow they did a great job. I had too many people at my house over the holidays and it made my carpets look dingy and dirty. They came in and made them look new again. I can’t thank them enough for making my carpets look new again and taking care of the spots from our dog. Definitely recommending them to friends and family. Thanks ChemDry! It’s always great using Golden State Chem-Dry. Honest Company wouldn’t hesitate to use them for any cleaning services. If you live in Rancho Cucamonga or surrounding areas they can take care of any carpet, upholstery, or tile/grout cleaning needs. This is the first time using Golden State ChemDry, and I’m very impressed😁. I spoke with them on Friday and had an appointment for Saturday. My carpets are quite old and with 7 grandchildren leaving their many marks I wasn’t expecting miracles. But by the time Tyler finished, well words can’t describe how happy I was! Thank you Tyler for an amazing job, and such attention to detail. I will be a returning customer and I will refer you to everyone. Oh and I am especially impressed with the fact that their solution is all chemical free so there’s no harm to my animals. Once again thank you so very much for a wonderful job. Amazing service, this is one of the only companies out there I will leave a key for, and I know I can trust them with my home. Thank you golden State Chem-Dry! Excellent service! Called on Saturday morning, Jared made accommodations to be at the home by 2pm, same day. After inspection, he took time to describe in detail options and expectations with a carpet that was in bad shape. He recommended we replace the carpet, foregoing the service. We decided to go ahead. He was quick and efficient, the carpet looked great, vastly improved! Jared was patient, transparent, a true professional. Highly recommended! Easy to get ahold of, text friendly and fast professional service! Was able to get a same day appt and I went with a deep clean. Carpets look brand new and no odor. Doesn’t smell like soap or your typical carpet cleaner when they are done. Chem dry doesn’t try and “mask” carpet odor. They simply get rid of the smell all together. Our carpet was in great condition and only 2 years old. We hadn’t even thought of having it cleaned until we had an incident which required the fire department to come walk through the entire house. One of the firemen had an unknown ash-like substance on his boot and it was dragged through the entire house scattered every couple feet or so. Needless to say we decided to call Chem-Dry to get the unsightly black dots off of our carpet and I’m so happy we did. Like I said, we thought that our carpet was in great condition, but there was a noticeable difference in the carpet in every single room. Carpet cleaning is a luxury I never knew I needed but I will be scheduling Chem-Dry to come out at least once a year from now on! We had a lot of dirt stains in our carpet that needed to be removed. I didn’t think he would be able to take it out but my Technician Frankie did an amazing job!!!! He took his time and you could tell he really loves what he does. He even went over it again to make sure no dog hair and any left over stains were removed. On top of it! It was such an affordable price! My package was the basic HCE and I had 3 rooms in my apartment which the total price was 150. They have other packages that I definitely want to try for next time! I highly recommend Frankie!!!! Excellent follow-through by Jerod & Krista and great service by our technician, Frankie. Although the pricing was higher than I expected or wanted to pay, they were straight-forward and honest with their pricing policy. They also guaranteed that I would be satisfied. I am. The black light is crazy. I felt like we were in an episode of CSI. It was very expensive carpet and the only carpeted room in the house so I wasn’t quite ready to do away with it. My carpet looks great and the accidents are magically gone! I was happy with the professionalism displayed both during messaging and while servicing. I would highly recommend Jerod’s team again. I called Jared this morning because I wanted to get my carpets cleaned prior to receiving my new couch I received for Christmas, which is tomorrow. He gave me a quick quote and although he quoted between 12-2, he was here 2 hours later. We went through the rooms and what needed to be done and he quickly began working. After maybe 2 hours- done! He is professional (good handshake at the door), knowledgable, and friendly. I tried a few other places prior to calling to him but no one answered so winner takes all!! As a soon to be new Mama and a Mama of 7 (yes, 7) fur babies, it’s important that I keep my floors clean, and it isn’t always possible. I first booked Golden State to clean the carpets in the bedrooms, I was so pleased that I booked them to come back the following week to clean my grout and seal my tile. Everything came out beautifully. Last week when my sweet bulldog got the flu in the middle of the night, it was time to clean those carpets again. They were able to come the following day and again, did a beautiful job! I won’t be using anyone else from here on out! Jarod got rid of the many pet stains, heavy traffic, spill stains & odor from our older dog. The Pet Urine Removal Treatment surprised me & was just what I was hoping for. After a few days of treatment, it kept working & the odor became less & less. Now it’s undetectable. We have 20+ year old carpet. He made it look immaculate for its age. I no longer cringe when my grandson plays on it! Very nice & comprehensive personnel; from the call to the job. I would highly recommend Golden State. I am very happy with the service from Chem-Dry. Very personable and honest people. Will definitely use them again. This is the second time using this company. Frankie and Tyler arrived on time. Deep cleaned two areas. Took there time, to do a good job instead of just trying to get out quick. I recommend this company and I will use again. Frankie and Tyler cleaned 3 of our couches and they did a great job. Very professional and courteous. I definitely recommend their services! I am very satisfied with Golden State’s work. The guys were friendly, courteous and on time. We had our carpets cleaned due to our messy puppy. The carpet looked brand new again. Thanks Golden State for your good work. We will definitely use you again. Originally my appointment time frame was 2-4pm. Jerod and his assistant got here before 2pm. These guys are friendly, they do quality work, and are very prompt and timely with their service! Great job and I will recommend them to friends and family. Extremely professional from the very first phone call. I called and made an appointment with Christa, she was very friendly and helped answer all of my questions. Jerod & Daryn were very detailed and did an amazing job. (I believe Jerod is the owner). You can tell they care about your home and that this isn’t just another job, he treated like his own. He was very honest and his prices are reasonable. I loved that he had these corner guards for your walls so the equipment does not case any damage to your walls or baseboards! At the end of the cleaning, he also put the light furniture up on these foam block so the furniture was lifted that way everything dried quicker. They did a great job!! We will definitely use them again, next time we will have them clean our tile as well! (I didn’t realize that was a service they offered). We had the most amazing experience with Jerod of Chem-Dry. We just called the first place we found on yelp and they were so kind and accommodating on the phone and even squeezed us in last minute on the week of Thanksgiving. We loved meeting Jerod. He was so sweet and interacted so well with our kiddos. He went above and beyond and even did more of our carpets than we asked. The carpet has never looked better. It honestly looks like we got new carpets…I didn’t know they could look like that! We have found our new go to place for carpet cleaning! Jerod did a great job. I have two large wool area rugs and two smaller throw rugs. The carpets look good as new. Jerod let me know when he was on his way and was on time. Very friendly and informative. The process took about 40 minutes and the rugs dried quickly which allowed me to get the furniture back on them without having to wait all day. I definitely recommend and will give Jerod a call if I need any further carpet or rugs cleaned. We had a fantastic experience with Golden State Chem Dry today! Frankie and Tyler were very friendly and professional. They did our entire 1500 sq ft space in an hour and half! The machines they use were extremely efficient and did a fantastic job. We had lots of spots I thought would never come out but they sure did! We had two indoor dogs and they definitely had a few accidents but with the P.U.R.T treatment those spots were gone! We would definitely use their services again and they are very reasonably priced. I moved into my new house and realized how filthy the tile looked. Jerod came out to give us a quote and returned a couple of days later to do my tile cleaning. The tile in my home looks so much better! Great work for a reasonable price! These guys are the best!! They have cleaned my carpet three or four times now. I have three kids and three dogs so we need frequent cleanings. 😉 Every single time they come the carpet looks brand new again. Not to mention they are super nice and always really good about scheduling any time I need them. Best carpet cleaners around without a doubt!! IF I COULD GIVE THIS PLACE 1000 STARS I WOULD. I have a pet (puppy) who pees constantly due to the fact that I haven’t been able to potty train him up until next week. I’ve had him for 4 months, so 4 months of pee all over the carpet. Long story short, Jarod came in today to clean my carpet in my room and gave me beyond a reasonable price. Besides having great customer service, he did an excellent job. And I should know cause I’ve gone to many carpet cleaning places. None of them can compare. I LOVE their work and I’m willing to keep getting my carpet cleaned from them! If you’re looking for a reasonable price, great customer service, an extremely CLEAN carpet, then this is your place! Literally all my stains, and pet odor went away in 30 minutes. THANK YOU! This is the second time I’ve had Jerod out to clean our carpets. A+ quality and service. He called ahead to let me know he’d be showing up at the end of the arrival window in case I wanted to run some errands and called again when he was on his way. Quick service and my carpets look great, thanks again! I read the reviews, booked online, received a call immediately from the receptionist. Easy to ask questions and get a general cost of carpet, upholstery, & area rug cleaning. Customer service was awesome, Jerod and assistant were easy to talk to, explained everything and worked efficiently. We are very happy with the results and service provided. Frankie and Tyler did a fantastic job cleaning our carpets! We called on Monday and they scheduled us for the next day, Tuesday. They were punctionual, VERY polite, VERY thorough, and took EXTRA care while moving our furniture. I highly recommend them and I look forward to continuing to use their service! I’m so happy I found them, past companies have left my carpet soaking wet/smelling awful! Very fair pricing and excellent customer service! My carpet is only 3 years old, and in pretty good shape, but had some spots and traffic pattern wear. Checked all the reviews before I made an appointment, and the reviews were correct! Jerod gave me a price over the phone, and although not inexpensive, there were no up charges or hidden fees when he came out, unlike most places in my experience. They arrived as scheduled and did an excellent job! Around two hours for my 2700 sq ft house with stairs. Looks really brand new! Don’t look further, use these guys. It’s owner-operated, and his interest in your satisfaction and return business is obvious. Will definitely be a repeat customer! Jerod is very professional and honest. He showed up on time and ready to work. My major concern was pet urine. He used his “magic” light to identify urine stains. Lucky for us, he only identified one stain and told me that our carpet was in great shape. Although I did not have my carpet cleaned this time around, thank you for being honest. I will definitely call you back when it’s time. This review was long overdue. Let me just start with the fact that I have 2 dogs. One being a puppy that isn’t 100% potty trained. I was in desperate need to have my couch and 2 rooms completely deep cleaned. Jerod and Darren arrived and provided excellent service. When they completed the job I couldn’t help but marvel at the fact that my couch and carpet were liveable again. 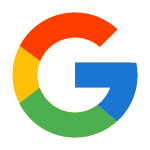 I will definitely be using them again and would recommend them to everyone. Jerod did a fantastic job on our carpet and was very thorough. This was our second time using him. He was able to get out all of the stains and dried up food our toddler left behind. He was friendly, professional, and courteous! We highly recommend him! Super honest! So we just bought a house and wanted to have the carpets cleaned before we moved in. They showed up to my house and looked around and explained that even if they cleaned the carpet it would not look very different after. The carpet was just that bad (sunspots, etc). He suggested if we could afford it to maybe get new carpet and not have the old carpet cleaned. hen he advised us on carpet type, pad, etc which was super helpful. We are so glad we ended up getting new carpet. He walked away with no money, but will have a customer for life! Jerod came right on time, friendly and professional. He gave us three informed options. He let us know what he was going to do and how long it would take. The house smelt great, and looked beautiful. He taught us how to care for our clean carpet. He exceeded our expectations and left us feeling confident and happy. He even offered to come back for no charge if anything seemed like it needed more attention. We’ve used Jerod (& Daryn) for several years for both carpets (with pet stains) and floor tile/grout. His work is always excellent. Very reasonable prices as well. Jerod is a real pro and a super nice guy. Very responsible and he cares. I would highly recommend Jerod! I had a beige microfiber love seat and couch that were just awful. Everything stained them and between kids and animals, they desperately needed to be cleaned. I had never had a professional company come clean anything before and called this company based on all the great reviews. We had stupidly removed the tag from the inside of the couch so when the guy came out he was a little nervous on if their machines would actually help or make it look worse. After discussing our options I decided to just take the risk because we have a new baby coming and I couldn’t take it anymore. Turns out, it helped Immensely and they ended up looking fantastic. Very happy with the result! I would highly recommend Jerod and Golden State for carpet cleaning. The service was friendly and quick. I just put my house on the market and Jerod helped make it look great. I have older carpet that looks fresh again. He was able to remove kid and pet stains completely. I had my carpet cleaned and had a great experience. Jerod & Daryn were very thorough. They were professional, polite and informative. No pressure. My carpets look brand new and he got out all the dog’s urine. I would highly recommend their service. 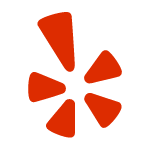 I first went to Yelp and found Chem-dry and read the reviews. Excellent customer service over the phone and in person. Jerod and Darren did an amazing job. I couldn’t be happier and will definitely refer them and have them return for my upstairs. They are professional, efficient, friendly, and know what they are doing! Golden State Chem-Dry does awesome work! My carpet was such a mess, embarrassing. Jerod came in and totally made me feel comfortable with him and gave me a quote before he even got to work so there were no surprises! I love the work he did and the time he took to make sure it was clean. He definitely knows what he is doing! I have had other carpet cleaners but no one has come close to what Jerod did! Honestly, thank you!! Please think of them next time you need your carpets cleaned. They are awesome, you will not be disappointed!! Great business to work with- honest and straightforward- stuck to the quote and had a great internet special coupon! Came and did the work quickly and efficiently. Staff was friendly and although I was offered extra options, there was no pressure. I was in town visiting my mother in law and thought I would get her carpets cleaned for her. I call Golden State Chem-Dry and I was impressed by their friendliness and professionalism! I was even more impressed when the tech showed up on time and was extremely knowledgable! Her carpets look amazing and I will definitely call them again!! Our sofas were filthy and I was afraid we would have to throw them out. I called five different services from the phone book and they were all priced about the same. However, Golden State was by far the friendliest and most engaging, asking questions about my specific problem and giving me hope that the hair gel stains really could be removed from the fabric. He arrived the following morning, on time, and was every bit as friendly and professional as on the phone. Our sofas look great, the price was reasonable and they clearly take pride in their work. I would definitely use Golden State Chem-Dry again! I️ have used this particular ChemDry company for years, and have never been disappointed. It is a little more expensive than other companies but extremely worth it. The carpets get very clean with no sticky, slimy residue, or strong odors. They stay cleaner longer. Also, the staff is very friendly and efficient. They were very accommodating when I️ had a water leak in one room and needed the smelly mildewing carpet cleaned ASAP. I️ will continue to hire them at least once a year and look forward to trying their couch and kitchen tile services. I live in Las Vegas so haven’t used Golden State Chem-dry but have know the owner Jared for over 3 years and would like to post a review on him personally. He has always shown to be a trustworthy and helpful personality. I have over 20 years experience in the same field and in my interactions with Jared he has been knowledgeable about the carpet cleaning industry. I do have friends that have used his services in California and they tell me that he does quality work. I believe that anyone who is looking for an honest carpet cleaner would find their experience with Golden State an enjoyable and rewarding one. Very professional and very knowledgable. Jerod is a very hard worker and it shows in the end product. Definitely will get your money’s worth! Cleaned all the pet stains out of my carpet and made it look like it did when I bought it. If I could, I would have Jared come back every week to clean my carpet! Wow is all I can say. I found a reliable carpet cleaner he was on time and very friendly. Pricing was reasonable and he squeezed me in before the holidays. I was so impressed with how my carpet turned out I am going to have him back to clean my tile and grout. Jerod was awesome! He came out last minute after 2 other companies flaked. He did a great job. Thank you. 5-Star service from start to finish. Competitive pricing, exceptional service, and excellent work. Obtained a quote online, was sent a text to set an appointment (just 20 minutes after submitting the quote), and the technicians arrived exactly on time. Frankie and Tyler TRANSFORMED our carpet and made our house feel like home again. Golden State Chem Dry exceeded my expectations in every way and I highly recommend their services. We were looking to get the carpets in our common areas (living room, dining room)cleaned at the last minute before the holidays. It was long overdue, and the carpets were in bad shape between young kids and potty training a puppy. I contacted Golden State Chem Dry (they were very easy to get ahold of) and was able to secure a cleaning appointment for the very next day. The carpets were cleaned quickly and the difference in color was astonishing. We opted for the pet stain treatment, and I’m so glad we did. Service was friendly, quick, helpful, and thorough. The price was excellent. We even received a lovely follow-up thank you card in the mail. Overall, it was a great experience from start to finish. And the clean carpets gave me joy all through the hectic holiday season. We will definitely use Golden State again in the future for any of our carpet cleaning needs! Jerrod is awesome. Right away communication was prompt and easy. He came by for an estimate for tile cleaning, but since I wasn’t willing to spend too much money on a rental, he educated me on the best way to clean tile and gave me helpful information on what to use to disinfect it. I ended up scheduling an appt to get 3 rugs cleaned. Frankie and another young man (sorry I forgot your name) came and did a great job! Jerod nailed it! Very prompt arrival and professional service. The carpet looked like a brand new one and became soft after the clean-up. Always had happy smiles on his face. Really patient and willing to explain things to us whenever we had questions. He even gave us a whole bottle of Spot Remover as a gift since we have a pet at home that sometimes leaves spots on the carpet. I’m totally happy and satisfied with the service so I definitely recommend Golden State and will be calling them again in the future! Very happy with the outcome. I called this morning after reading all of the great reviews on this company and received a same day appointment. I had three rooms plus a closet cleaned. The three rooms have fairly new carpet, but my small dog has accidents… so needless to say it was time to get the carpets cleaned. When Frankie arrived I was embarrassed, but showed him our old carpet in our master closet which had been stained extremely bad with dog urine and whatever else. I wish I had a before picture to show you but I don’t. It was awful but now is spotless. Picture attached. Great service all around! Jarod from Golden State Chem-Dry was fantastic! He went above and beyond with his work and was very reasonably priced. He was also professional and great to talk to while he was cleaning our carpet. I wouldn’t hesitate to recommend Jarod to friends and family. I will be a return customer!! Amazing company!!! Hands down money well spent I have 5kids 4 dogs & 1 cat and we really needed our carpet cleaned. Jerod was friendly, professional & very knowledgeable of what he was doing. I’m very happy with the results of my carpet cleaning. Great communication as I requested a quote and made my appointment. Jerod and Tyler showed up on time clean and very professional. They walked through with me to assure they knew exactly what I wanted done. They had corner protectors for walls and were very careful to make sure nothing was dinged or damaged during the cleaning. I can’t say enough how the excellent service was. I highly recommend this company for carpet floor and upholstery cleaning needs. Decided to go with Chem Dry. Daryn showed up on time and went over everything with us. He treated the pet urine areas and cleaned 2 rooms. What a difference! The carpet is clean and the smell is gone! They are the only company with the urine odor guarantee and technology. Daryn was professional and very nice! He is a great example of a model employee! Thank you Chem Dry!! UPDATE: I contacted the owner a few days after service because I still smelled the doggie urine…… they came out the next day and hit the area again and the smell is gone! It was a bad area that my dog kept going on! They are amazing and I would recommend to everyone if you want great customer service and awesome owner!! This place is awesome! We had a pet accident and they were able to accommodate us last minute and came out within hours of calling!! Frankie and Tyler were friendly and professional and did a great job on our downstairs carpet! Definitely worth the price! Thanks for coming out and doing a wonderful job! So happy with the way our carpets came out. This is the first time getting them cleaned and the experience from beginning to end was amazing. Jerod was professional when he came out to give us a quote and Frankie was thorough and so friendly while cleaning our house. The only thing I wished they did differently was to call to confirm my appointment, but overall it was a great experience. We will be using them again!!! Thank you Golden State Chem Dry, our carpets came out great and happy we used your Company!! We are new to the area as we recently bought our first home in Rancho Cucamonga. We wanted to use a local company to keep the business here in Rancho but we didn’t know who to call. We saw your ad in a local advertisement and called. I was impressed with the customer service over the phone so I booked an appointment. Jerod and Daryn were our techs. They were very efficient, clean, friendly and explained the process before starting. Afterward, everything looked so fresh and now almost 2 months later, the carpets still look good! We had quality service and will definitely call your Company again when needed. Thank you, Jerod for a great job and the personalized service! Great service! Our carpet looks fresh and new again! I would highly recommend Chem-Dry for all your carpet cleaning needs! They did a great job. I got a next day appointment and they were able to come even earlier than planned. Carpet looks better than expected and pet smell is gone! The arrival was on time and the techs that came out were extremely professional and friendly. Would recommend this company. We are moving out of a rental home that was not in the best shape when we moved in two years ago with no carpet cleaning done when we moved in plus the two years of dirt and animal spots. I called and asked for an estimate and next available appointment this past Saturday and was surprised when they were able to come Monday at 8 am. The estimate on the phone was spot on. The equipment was very clean as well as the technicians. I could not believe how fast and efficient they were! The carpet looks and smells great! I highly recommend using them. It is a family owned and operated business and serves more than just Upland and Rancho Cucamonga area. We will definitely use them again! Jerod and his wife Christa are the greatest carpet cleaner owners I’ve ever met!! Christa was so accommodating to my crazy schedule that she made sure to help squeeze me in their available schedules during times made possible for me. They are very attentive to what my needs were. I had an allergy problem in the house and were doing chem dry to target that. Christa helped explain the general idea of chem dry since it was our first time and left the details for Jerod to explain since he is the technician. Jerod arrived on time and took time to explain all the different kinds if cleaning methods they have available. He also took the time to find out who and what type of allergy was the problem happening to. Very kind, quick and precise guy. Thank you Jerod for making our first chem dry experience fast, smooth, caring and clean. His work made my carpet look like new again, left no odor, and most importantly, carpet dried in a matter of 2-3 hours only! And after a couple of days from the actual cleaning day, Jerod touched base with us to make sure everything was good and asked about our allergy individual. So kind, Superb work Jerod! I strongly recommend THIS PARTICULAR Chem-Dry company! The cleaner was on time, courteous, professional and extremely efficient! I was unaware that there are other Chem-Dry companies. Trust me, you want to go with this one! My carpets are old and worn, but Jerod cleaned them so completely and they look like new!! I am thrilled to have found my routine carpet cleaner! I hereby submit my highest recommendation to Jerod. Best floor cleaning company I’ve ever done business with. The owner himself came on Halloween night to quote our emergency tile cleaning. He was professional and on time. He came the next day and we even had a coupon from the local business flyer. Then he came back the next day squeezing us in to clean an upstairs bathroom WE forgot to show him. He also spot cleaned some red wine off my carpeted stairs!!! Very pleasant to work with. Highly recommend. Jerod and Daryn were fantastic.. They did a great job at a perfect price. They both were super sweet and I loved talking with the two of them. Definitely will use them again. Plus they played with my dogs, anyone who does that is automatically awesome!! Check them out, you won’t be disappointed. Jerod is awesome. My girlfriend accidentally got paint on our brand new carpet. We tried blotting it out and it was not coming off. Texted Jerod immediately when it happened and he responded within 1 hour…..on a Sunday. He came out and cleaned the carpet the next day and didn’t charge me anything for it. What more can you ask for? I would so recommend Golden State – Jarod was great. I wanted the master bedroom carpet cleaned and the family room couch done! Carpet wasn’t stained but just dirty from use. The carpet same, but when Jarod investigated the tags of the couch he told me he couldn’t clean it because of the type of fabric. As much as I was disappointed that he couldn’t clean it I’m happy he didn’t and something go wrong! Back to the carpet, when my husband came home the next evening, he thought I had put in new carpet cause it was so “fluffy” as he said! Thank you Jarod. I will Call you again! We are very happy with the carpet, couch, and tile cleaning services they provided. We absolutely recommend them! don’t hesitate to call golden state chem dry. Had our carpets downstairs cleaned this week and they looked great!! Jerod and his colleague were super nice, professional, and seemed genuinely interested in doing good work. I’d highly recommend and I’m sure we will use them again in the future!! Just had my carpet cleaned by Chem-Dry and immediately jumped on Yelp to write a review. I specifically chose this company through Yelp reviews and I must say I was impressed with the entire experience. I called and Jerod responded immediately, he was polite and professional with what I needed after I explained my situation. Chem-Dry showed up on time and was pleasant to interact with. They did a great job cleaning my stairs, rug, and carpet in the bedrooms. I can definitely tell a great difference and I am 100% satisfied and would suggest this company for service. There is a reason why these guys have a 5 star review….they are extremely good at what they do! Jerod & Daryn came and cleaned my carpets today. They were extremely professional and polite. They introduced themselves, assessed the carpet and confirmed the original quote given over the phone. They were very attentive and did an amazing job (even removing a stain I thought was impossible to remove). They were also very fast. I highly recommend Jerod, Daryn, and ChemDry! I have no problem paying more money for a great service……but the price was a lot cheaper than I was quoted elsewhere (double win). I will recommend this company to anybody needing carpet cleaning. Amazing work and a great price!! 1. A great humble family company that cares for people rather than just making money. 2. Jared & Crista’s work really makes a difference in the house! The smell of the old carpet was gone and replaced with a fresh new clean citrusy smell! The difference of how it was before to now is amazing! All stains are gone and even the edges are clean! I’m really surprised! 3. I love how it dried only after a few hours!! So it doesn’t leave your carpet damped or wet for a few days like how steam cleaning does. This dries up so fast so it makes sure that it will stay dry and clean instead of collecting mold and other bacteria if it was damped for a few days! I was really surprised on how quick it was to dry! 4. Their customer service is really amazing! They helped us with so much especially with the whole move and schedule changes they were very flexible and they are true to their word when they say “it will take 1.5 hours-2hrs”. 5. I will definitely hire their services again and recommend them to my neighbors and family. I just had my carpets cleaned by Jared and Darren they were awesome!! They did such a great job my carpets the look great I have two little puppies and they worked on all the potty stains, I can’t believe how great they look! These guys are the best I highly recommend them. They were very polite and well mannered and professional, I will be calling them back for sure! We just had our carpets cleaned by Jarod and Daryn of Chem Dry. We were surprised that our carpets looked even better than the last time they were cleaned years ago. These professional and courteous guys exceeded our expectations. We will not hesitate to call them the next time we need carpets cleaned. I just had my couch and love seat cleaned and they look great! I had a dog that loved to slobber on the couches and brush his wet muzzle against the edges so the build-up was really gross. Jerod worked his magic and managed to make the couches look like the way I bought them over 8 years ago! Jerod was upfront, honest and spent the extra time to make sure the couches looked the best they could. When he left he told me that if, after the couches dry, I see any abnormalities I should call him back and they’ll correct it. Extremely professional with a great business ethic. I’m very happy and plan to have them back to clean my tiles. I called Chem-Dry for my office to have our carpet cleaned. It hasn’t been deep cleaned in over a year and the business in our back office just moved out. Needless to say, the carpet was disgusting. It was our first time using Chem-Dry and Christa was very helpful and nice over the phone. Set up a consultation for an estimate the very next day. Jared came in and gave me an excellent price. We set up a day and time for him and his crew to come in and they did a great job! The office looks so much better and they were quick and professional. Would use them again and would recommend them to everyone. Thanks, Chem-Dry! We live in a 3 story townhome and own five dogs. After living in our residence for a year it is safe to say our dogs have excessively marked their territory. The carpet on the two stairwells was black from dogs urinating, defecating, and us humans tracking dirt from the outside. We took it upon ourselves to try and clean the stains which made it worse. We called Chem-Dry Golden State and we do not regret it. The owner himself arrived in the short time span he promised. He immediately studied the carpet and was very knowledgeable. He discussed why the carpet was stained and why our attempt to clean it ourselves made it worse. He was very honest and said that in time the stains would reappear because of how deep they are. We let him know that we would be happy with any improvement. We shared our concern about collecting our security deposit when we moved out from our landlord. He said our best bet would be to call him so he could come the day we move out for best results and to leave the windows open so the landlord wouldn’t know we cleaned the carpet because of the smell of shampoo. He was very helpful and we felt that he was authentic and sincere. You can also tell he loves what he does and genuinely wants to help people. I recommend Chem-Dry Golden State to anyone who wants quick, efficient, and friendly service. You will not regret it! We have already recommended them to our friends. Our friends visited after his service and were immediately impressed as well. The price was totally acceptable and worth the cost. Thank you, Chem-Dry Golden State! We will call you again next month to clean the rest of our carpets for the month of December! Call Chem-Dry Golden State for your carpet cleaning needs, you will NOT regret it! Jerod works wonders!! I had to chime in after our experience this past weekend. Our carpet was an embarrassment. It’d gone from beige to black courtesy of our garage floor and from what the previous renters decided to leave behind as a parting gift. Plus, they must’ve had a mutt that marked its territory on every inch of the interior. Plus also… we got kids. We couldn’t be happier with the EPIC results after Jerod paid us a visit. I liken his custodial skills to that of a Grecian God. As Poseidon wields his trident, Jerod transformed our measly carpets to the shining floors of the Pantheon. It honestly feels as if we were awarded a brand new living/dining room and now we cannot wait to have people over for ambrosia…..everyone will be removing their sandals of course!! I emailed Jerod at 6:30 Saturday morning and by 8 a.m. he was already at my house removing stains in the carpet. Excellent work, fast service and a great person to work with. Five stars plus! If I could give higher than 5 stars, I would. The guys from Chem-Dry came out and were quick, efficient, and incredibly professional. I have a little puppy and, unfortunately, she left lots of little stains around the living room that turned into big dark stains. It was pretty bad! But Chem-Dry got out all the spots and the carpet looks fantastic. Better than I could have expected, in fact! I will not hesitate to call these guys again in the future. Jerod was referred to me by a coworker and I’m glad I gave him a call. I have 4 dogs, therefore there’s dog hair EVERYWHERE. Not to mention whatever they track in. He was very professional, did a great job on the carpet, and I will be calling him back next time I need my carpet cleaned. We called a couple companies for a quote and chem dry was the easiest to talk to, and very reasonably priced. They were able to come out the same day. Jerod called and let us know what time he would be here and showed up right on time. He was an absolute delight, very professional and did an amazing job! My husband is a hard person to please and the service far exceeded his expectations. We will definitely be calling them again! Happy Happy Happy! My carpets look brand new again and I owe it to Jerod. I thought steam cleaning was the only and “right” way to have my carpets cleaned. Boy was I wrong. I had no idea there were other methods and better methods. I’ve been using steam cleaners for years and thought 3 days for my carpet to dry was normal. First Jerod showed up on time and quickly educated me on his extraction process which I wasn’t sure about at first. But boy did he prove me wrong. I had a puppy 6 months ago that was peeing and I didn’t even know. Jerod inspected my carpet with a black light showing me the trouble areas and didn’t even charge me. He then treated my carpet and made it look brand new, and it only took 2 hours to dry!!!! He had no hidden charges and was true to his quote over the phone. after he left I noticed he had moved things for me and cleaned under them and put them back. I wasn’t even expecting that. he even raked my carpet after cleaning and the carpet dried and looked so good I didn’t want to walk on it. I’m so thankful I found a good, honest business owner who has pride in his job. I will recommend only Jerod and only use him. Thanks again!!!! Wow! Golden State Chem-Dry does it again. They came and made my carpets look new again! My carpets are light colored so they get dirty pretty quick. But they came through again (been using them for years) and made my carpets look new and pretty. I always tell my friends to call them when they need their carpets cleaned. Thanks, Chemdry! Seriously the best carpet cleaning out there. Thank you for being so friendly and helpful! They did our whole house and our couch!!! I had my tile and grout cleaned today by Golden State Chemdry and I couldn’t be happier. I called and scheduled a quote and Jerod came out and quoted me an exact price and explained the chem-dry process. My tile looks new and I would highly recommend their service.